Who are they and when did they start to appear? Were they Nibelheim victims taken by Hojo to inject S cells? I just can't remember anything from them. Yes, they're all from Nibelheim. However, there's at least one former member of SOLDIER who becomes a clone: one of the shopkeepers in Junon. SOLDIERs were exposed to Jenova cells as well, so that makes some sense, but that one instance comes across as a gag more than anything else. But yes, my understanding of it is that the clones are pretty much all former Nibelheim residents. This was especially hammered home to me during my last playthrough, in 2008, when I realized that there was something quite disturbing about two clones in particular. Here's the details. It's also mentioned more directly in Zangan's letter, which was pointed out in the comments of that post. Hah, wow. Never realized that. That's insanely creepy. It's these things that really show you how deranged Hojo was, and how evil Shinra was for allowing his team to experiment on people. Anything more about them? I remember them doing the experiments in the Nibelheim mansion. But why/when did they release them? Did they consider them failures? Did Hojo declared so to Shinra so that they wouldn't be bothered by the corporation? Which shopkeeper are you talking about, by the way? Sorry for all the questions, but did Red XIII ever get injected with the S cells? I remember him being supposed to be a Sephiroth clone. Specimen wrote: Anything more about them? I remember them doing the experiments in the Nibelheim mansion. But why/when did they release them? The clones were part of the Jenova Reunion experiment. As Hojo implies in the Northern Crater, not long after they were created five years prior, they were set loose; he expected them to gather at Midgar, where Jenova was, but they didn't start to move until Jenova did. There's some info in the present-day letter in Tifa's room, if it helps. Scene 101 of the game script has Hojo's dialogue where he explains the experiment. Specimen wrote: Did they consider them failures? Did Hojo declared so to Shinra so that they wouldn't be bothered by the corporation? Pretty much all of the clones encountered in present-day Nibelheim had numbers when Cloud examined them, so no, they were not failures. Specimen wrote: Which shopkeeper are you talking about, by the way? Do you remember the shop with all the girls greeting you when you enter? The shopkeeper I'm talking about runs the store upstairs from that one. Specimen wrote: Sorry for all the questions, but did Red XIII ever get injected with the S cells? I remember him being supposed to be a Sephiroth clone. He does have a number tattoo, but I don't think he was supposed to be a true Sephiroth clone. 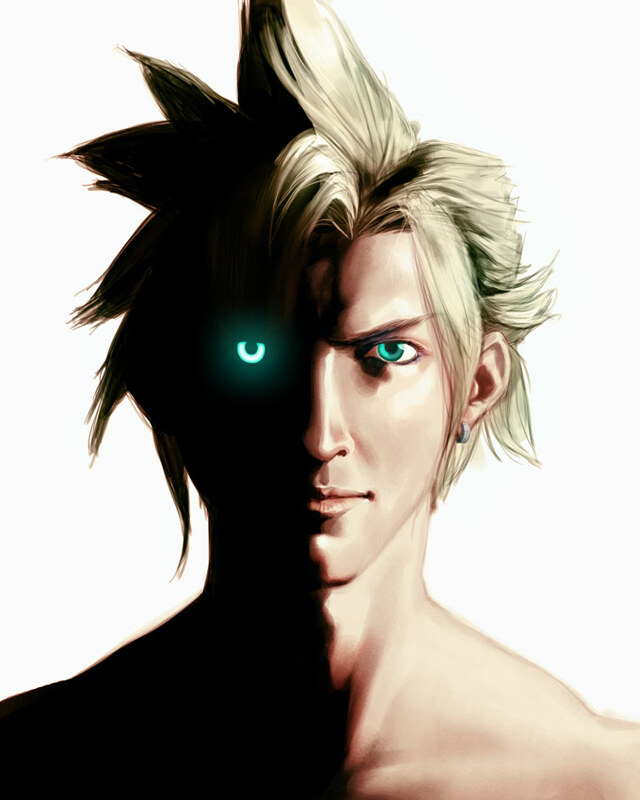 For one thing, the experiment Hojo wanted to conduct with him was to breed him with Aeris. It's also possible that he was injected with Jenova cells, but never felt the effects (much like most of the members of SOLDIER).